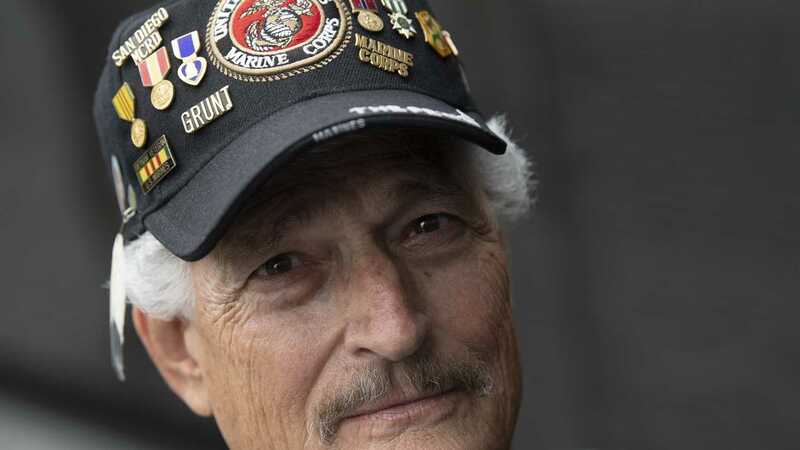 This Vietnam veteran returned a broken man after his lieutenant's death. 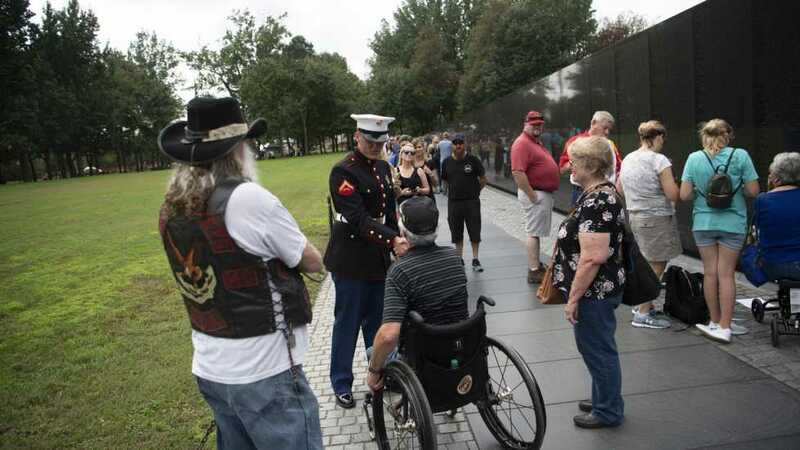 A visit to the Vietnam Veterans Memorial finally helped him to forgive himself for having survived the war. 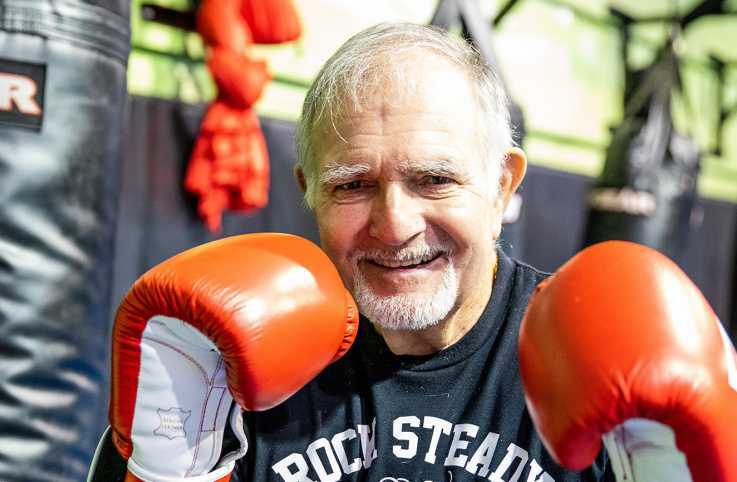 Eddie Beesley grew up in the small town of Beggs, Oklahoma. As a junior in high school, he considered enlisting in the Marines when he saw a recruiting poster during a trip to Tulsa. "I saw myself marching out of Beggs," he wrote. "A life with purpose. What I wanted. I was 17. 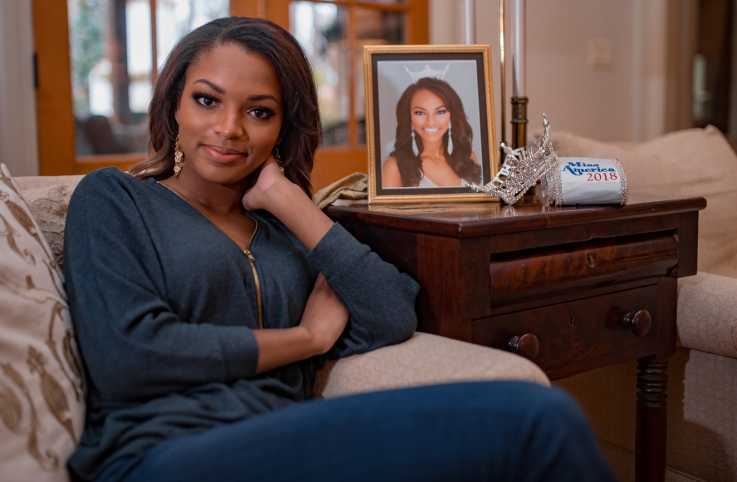 My father had to sign for me." Eddie was stationed in Hawaii. At the urging of his commander, 1st Lt. James Mitchell, he went to night school to earn his GED. His confidence grew. He was promoted to corporal. But in May 1965, Eddie was deployed to Vietnam; his platoon was charged with protecting Chu Lai airfield. Their daily patrols were extremely hazardous because of hidden land mines. 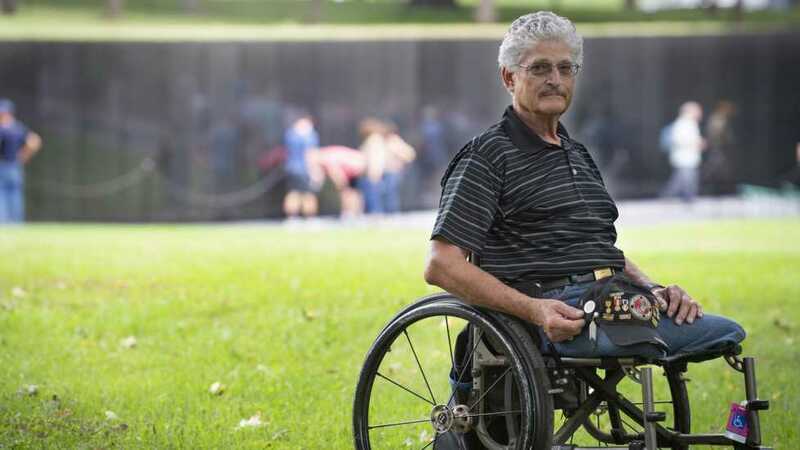 In August of that year, while leading a patrol, Eddie stepped on a land mine. He was thrown 20 feet and saw immediately that he had lost both legs in the explosion. 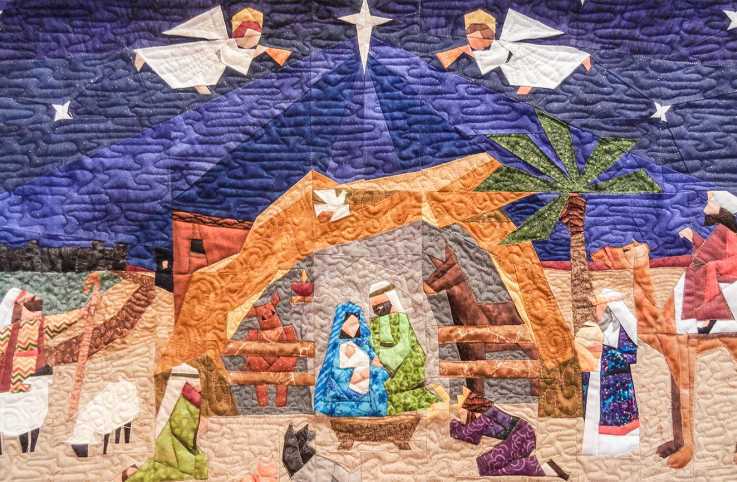 As he awaited transport to receive emergency medical care, he tried to recite the 23rd Psalm but the words eluded him. He begged God not to let him die. Eddie was shipped to five different hospitals for surgeries before arriving at the Naval Hospital in Oakland, California. It was there he learned his beloved commander, Lieutenant Mitchell, had been killed the day Eddie had lost his legs. 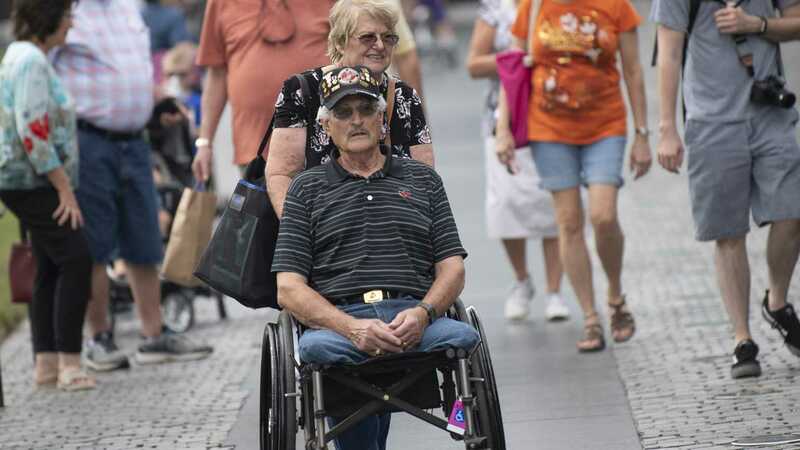 And it was then that Eddie began to question whether life was worth living without his legs, to ask why he had been spared and Lt. Mitchell, who had a wife and a baby, had been lost. During his time in Oakland, Eddie met Connie, a USO hostess who began to visit him regularly. Six months later, they were wed and moved to Oklahoma. 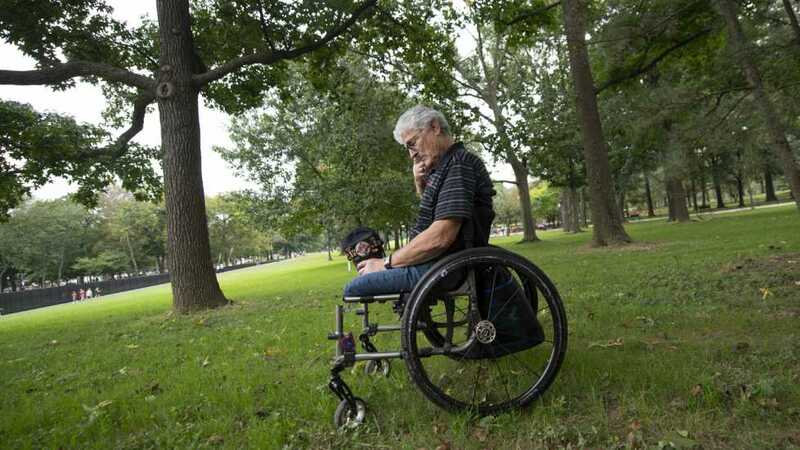 Eddie pursued a teaching degree and got around in a wheelchair; the prostheses of the day were not to his liking. Eddie shared with Connie how he felt responsible for the death of his lieutenant, and she tried to console him, telling him it wasn't his fault. 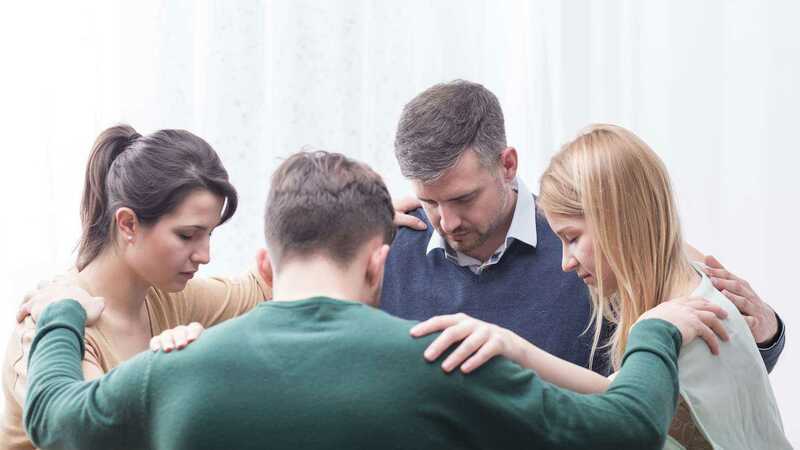 Eddie prayed for healing, but the feelings of guilt only grew worse. Eddie completed his degree but never pursued a teaching career. Instead, he launched a business installing wheelchair lifts in vans. He became more social, began to compete in a wheelchair basketball league. 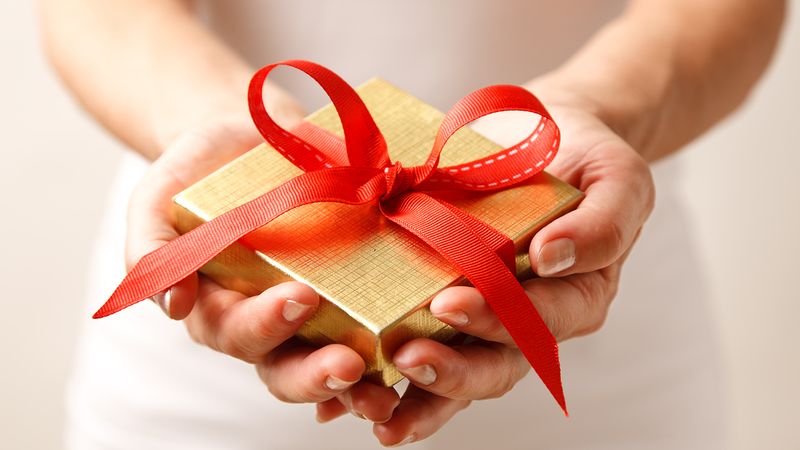 But even as his life improved, he felt undeserving. He couldn't let go of his survivor's guilt. 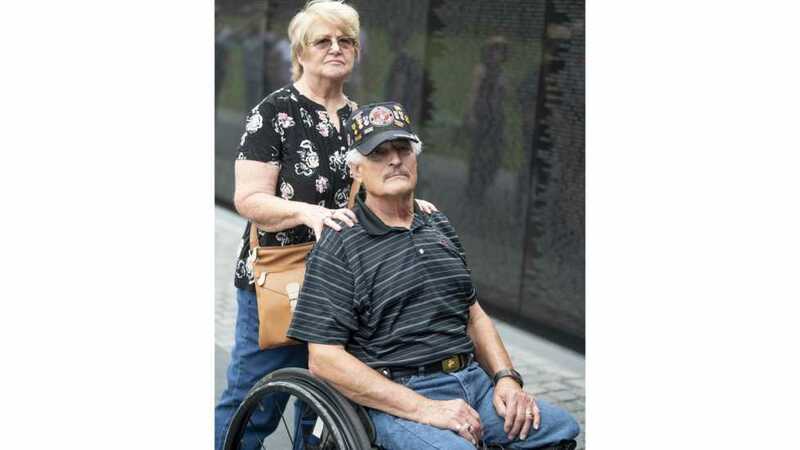 Eddie never felt comfortable talking about his experiences in Vietnam, not even with Connie. When the Vietnam Veterans Memorial was dedicated in Washington, D.C., in 1982, he told himself he'd visit it one day, but he kept putting it off. 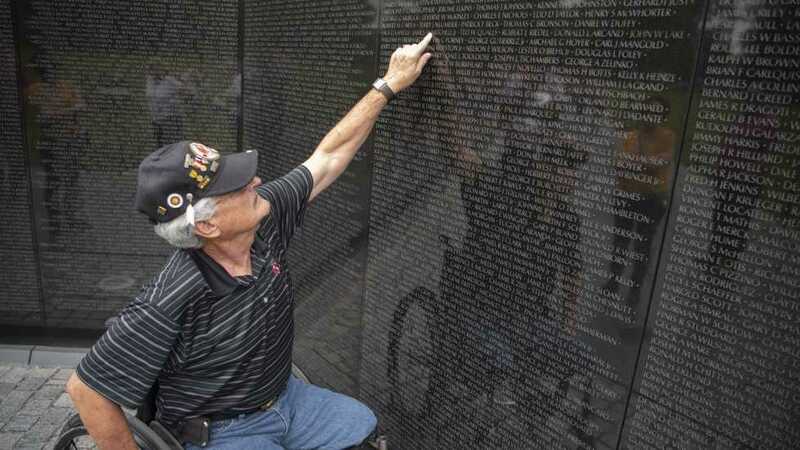 He feared he'd feel guiltier than ever about his happy life if he saw the names of the 60,000 men and women who lost their lives etched in the wall. But one day he realized it'd been almost 30 years since the fateful day he'd stepped on that mine and suddenly he felt an urgency to visit the memorial. On the next anniversary of his injury, he and Connie made the trip. 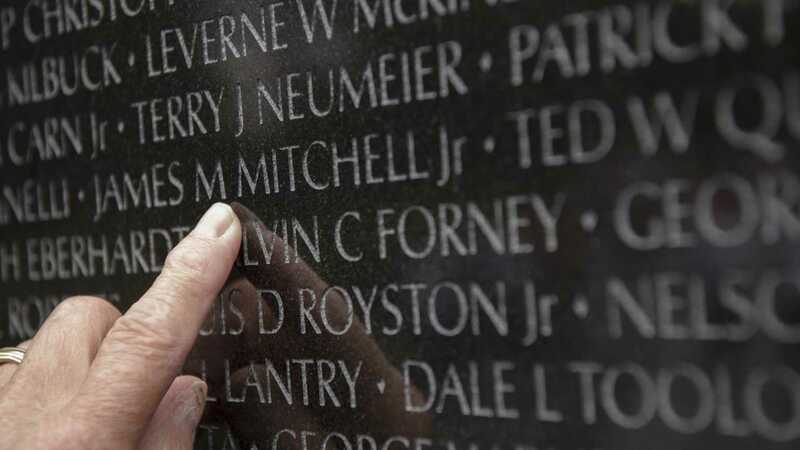 After arriving at the memorial, Eddie immediately began to search for his lieutenant's name, and finally he found it etched into a panel of the wall: James M. Mitchell Jr. Eddie still had no answer regarding the questions that haunted him, but losing himself in the sea of names of his lost comrades, those he had known and those he had never met, a sense of understanding and peace came over him. Once he'd returned home, Eddie searched online in an attempt to locate Jan, Lieutenant Mitchell's widow. He spread the word with his Marine friends that he wanted to talk to her. On Veteran's Day 1999, Connie answered the phone, spoke briefly to the caller, then placed her hand over the mouthpiece and said to Eddie, "It's Jan." Eddie said a brief prayer and picked up the receiver. He and Jan spoke for nearly an hour. She told him about her life, how she had remarried and was living happily in Arizona. Eddie told Jan how much Lieutenant Mitchell had meant to him. Jan told Eddie that she was writing a book about Lieutenant Mitchell and gave him their daughter Erin's telephone number. Eddie spoke to both Jan and Erin several more times, but he wanted to meet Erin in person. In August 2000, Connie and Eddie drove to North Carolina to visit Erin and her family. He told her how excited her father had been when she was born and how much the men respected him. After telling her about the land mine, Erin responded, "Eddie, no one blames you. Not me and definitely not Mom. Thank God you survived." That encounter helped Eddie to understand that it wasn't Jan's forgiveness or Erin's that he sought. He needed to forgive himself. 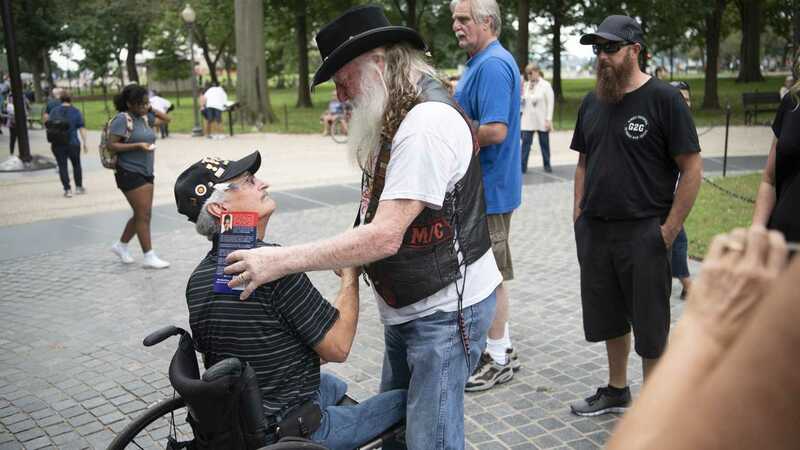 Months later, when injured soldiers were returning first from Afghanistan and then Iraq, Eddie, remembering his own struggles upon returning from Vietnam, began to visit military hospitals and share his story with the young men who were now facing challenges similar to what he had gone through. During a visit to Walter Reed National Military Medical Center, Eddie encountered a distraught mother, sobbing. 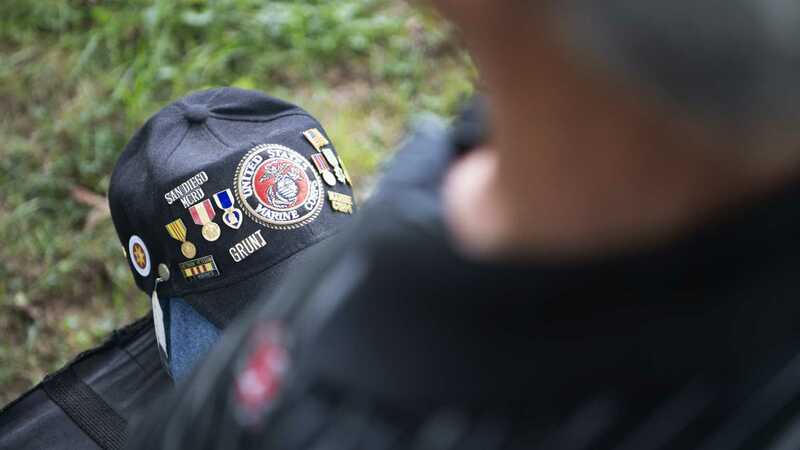 "My son is 19, a Marine corporal," she said. "He lost his legs, and now he won't leave his room. He wishes he'd died." Eddie recognized himself in her story; he was transported back 41 years to a time when he experienced the same feeling of despair. Eddie met with the young Marine and reassured him. "Your life is just beginning," Eddie said. "Don't give up hope." Hope was what had kept Eddie alive—it was something he didn't know he had until he finally visited the Memorial. Finally, he was free from the guilt he felt at having been spared. He came to terms with what happened, the combat death of a good man. And having survived, Eddie came to understand that God was with him always, in war and peace. 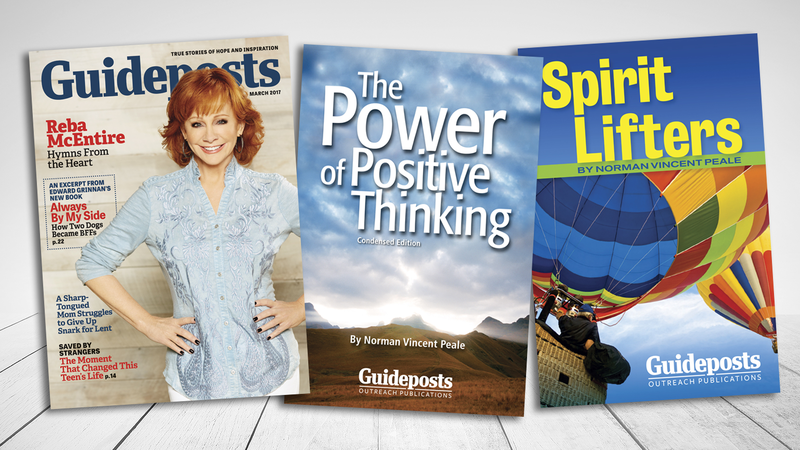 Read Eddie's inspiring story from the January 2019 issue of Guideposts magazine! 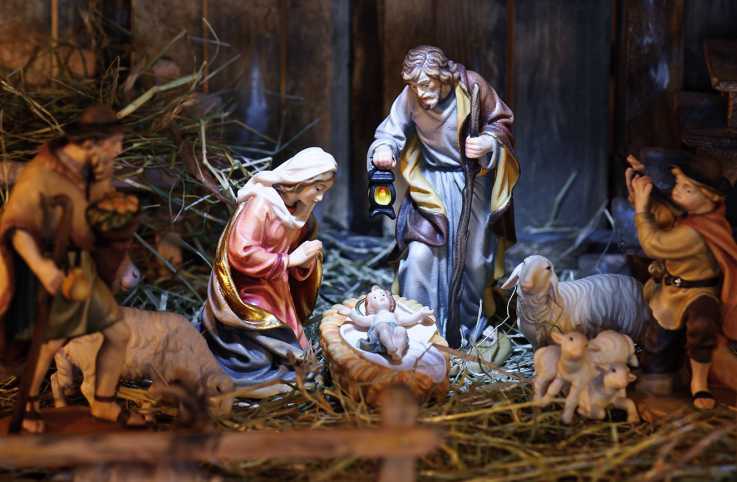 If you display a set of plaster or carved Nativity figures each Christmas, you are taking part in a tradition that dates back centuries. 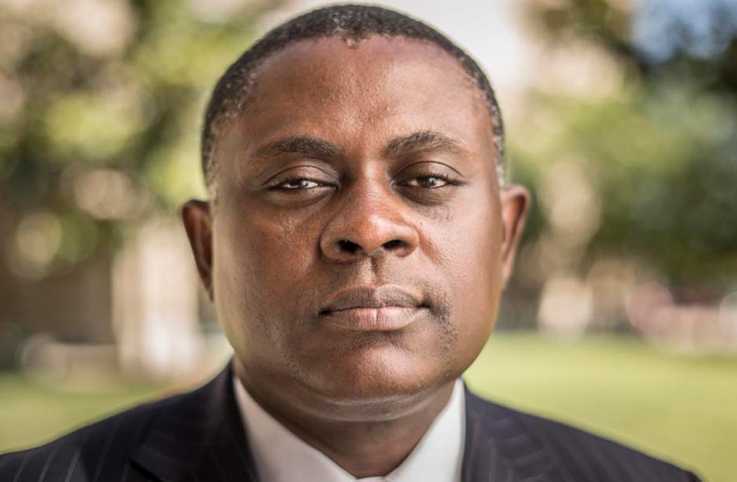 Dr. Bennet Omalu's inspiring life and impactful career have taken him from Nigeria, the country of his birth, to Seattle, New York, the halls of Congress and even the silver screen. 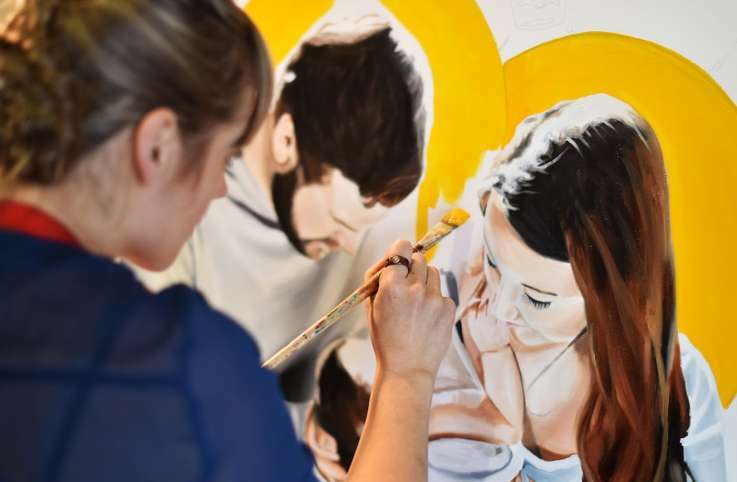 Artist Jessie DeCorsey spent eight weeks painting a modern interpretation of the Nativity, and she did so in a public setting: a church in Forest Lake, Minnesota.